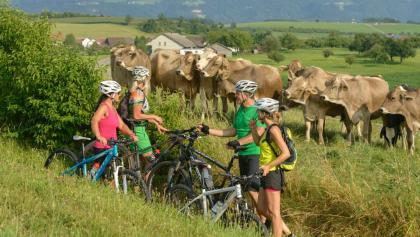 Danube-Lake Constance Route • Long distance cycling » Bodensee! 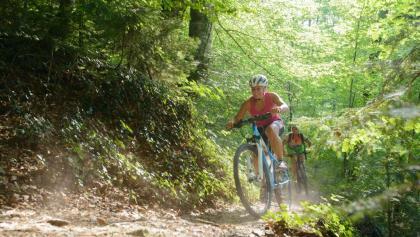 This route leads from the world's highest church spire to the banks of Lake Constance, linking two well-known and popular routes: the Danube and the Lake Constance cycle trails. The Danube-Lake Constance route is awarded with 4 ADFC stars. What's more, the Danube-Lake Constance Route is more than just a connection – it has many attractions of its own, quite apart from the beautiful scenery. It begins in Ulm, on the southern edge of the Swabian Alb, continues on through the hilly countryside of Upper Swabia and ends among the fruit plantations and hop fields in Kressbronn, on the banks of Lake Constance. A certain amount of muscle power is required, but there are lots of opportunities for relaxing en route: a wealth of lakes for bathing, health resorts and soothing thermal spas – Jordanbad in Biberach or the Waldsee-Therme, for example, are ideal. 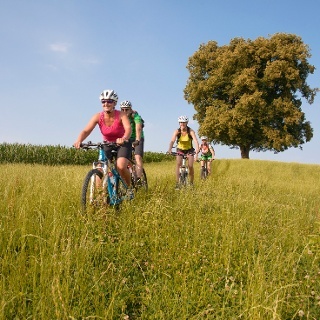 On the other hand, the route presents opportunities for longer breaks, as it takes cyclists through several towns on the Upper Swabian Baroque Route with their tourist attractions. for further information please contact Oberschwaben-Tourismus GmbH, Phone 07583 3310-60 or Mail info@oberschwaben-tourismus.de.